This DVD is made from my master VHS recording. All four band members are interviewed by Chris Evans on their own and Mick Jagger also shows Evans various backstage locations. 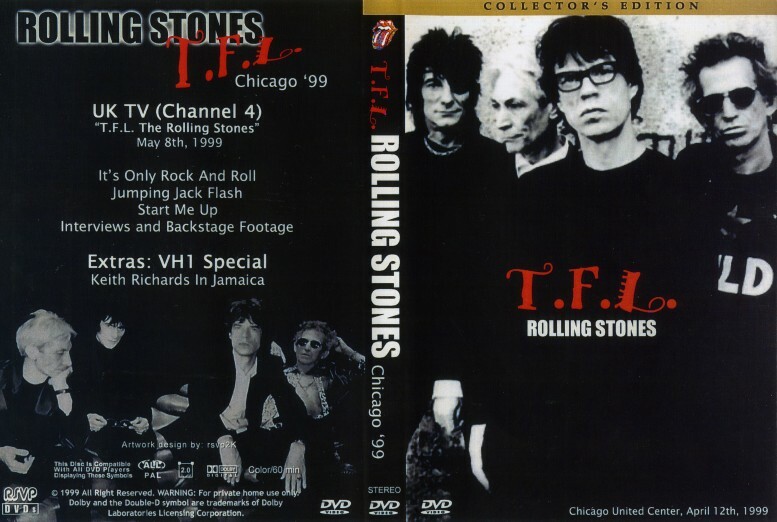 There are also extracts of It's Only Rock'n'Roll, Jumping Jack Flash and Start Me Up as well as footage of Keith and Ronnie jamming backstage. I have menued and chaptered the DVD to link to the start of each interview and song segment.